Who is an employer under the Massachusetts Wage Act? It’s a question we commonly face in representing employees in their disputes with employers over wages. A recent decision has recognized that investors who involve themselves closely in management and decision making – especially a decision not to pay wages – may have personal liability for the failures. In O’Leary v. Henn, a former employee brought suit against an investor for the employee’s. The investor was a 40% owner and outside director of the corporation. The employee claimed the investor’s role in the management of company affairs, including personnel matters, made him a de facto employer under the statute and thus liable for non-payment of wages by the corporation. The investor moved to dismiss the employee’s lawsuit for failure to state a claim on the grounds that he did not meet the definitional criteria of an “employer” under the statute. 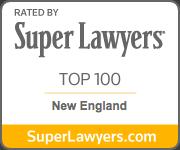 But, a Massachusetts Superior Court found for the employee, finding that his allegations regarding the investor’s role in the management of the corporation raised sufficient issues to satisfy the standard of review. Bottom line: Management and investors must take seriously the obligations to pay wages in Massachusetts..